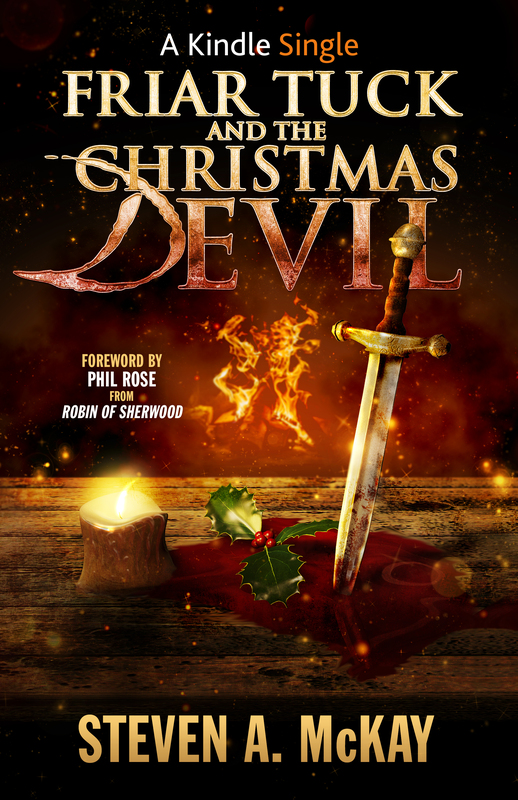 Friar Tuck and the Christmas Devil COVER REVEAL! This is the first draft, although it will probably end up just like this as I think it’s perfect! Like it? As you can see from the artwork, the novella is going to be part of the Kindle Singles programme! I’m really excited about the whole project – it’s been great fun to write and will hopefully bring some cheer to people all around the world this winter. Keep an eye on this page or my Facebook page for the release dates of each format. I’ll also be doing giveaways for signed copies of the paperback and free codes for the Audible version closer to December with extra goodies for people signed up to my Email List so…if you’re not on it, sign up HERE now! Friar Tuck has written a foreword for my new novella! into this short form of a novel. Steven, Don’t remind me that it’s Christmas so soon! Hope you’ve got all your shopping in!